All leaders must eventually deal with poor performers. The author describes a method to help poor performers become good performers. It is based on developing and executing a 90-Day Improvement Plan. I was talking with first-line supervisors in a utility company about how to deal with poor performing employees. “You’ve gotta put the screws to him!” suggested one supervisor to his colleague who was having trouble managing one particular poor performer. “I’ve put so many screws to him he’s dead weight!” the supervisor replied. We all knew what “putting the screws to him” meant -- using rewards and punishments to force change in behavior. The trouble is, rewards and punishments are the least effective ways of dealing with poor performers. That’s because poor performers are usually smart, motivated, and tenacious -- when it comes to poor performing. To change the behavior of poor performers, avoid the outside-in approach of rewards and punishments and cultivate an inside-out approach. Aesop understood that. There is the Aesop's fable of the wind and sun competing to see who can remove a coat from a man. The wind tries to blow the coat off, but the man clutches it tightly to his body. Then the sun grows hotter, and the man, perspiring heavily and getting hotter and hotter, gladly rips the coat off. The leadership lesson is clear: You can bluster and blow to get somebody to accomplish a task, but that's not as effective as setting up a situation in which the person gladly does it. Here is a way to deal with poor performers using Aesop’s lesson: the 90-Day Improvement Plan. A business leader tells me that he uses such plans as tools for change. Each plan is comprised of two pages: the first page pointing out that the individual must improve and the second page detailing the precise ways that improvement must take place. "Be specific about improvement," he says. "For instance, one leader I gave an Improvement Plan to was very bright but was not getting results. He tended to deal with future, strategic issues; whereas our business wants results now, preferably yesterday. We identified specific ways he could improve his performance in getting results, such as precise calls to make and exact, quick-closing targets to pursue." The objective of 90-Day Improvement Plans should not be to get rid of people. "Their objective is to improve performance," he says. "Though I do write on the first page, ‘If the objectives are not met, further actions, including dismissal, can be taken.’"
Mind you, in developing a 90-day Improvement Plan, keep Aesop’s fable in mind and seek not compliance but commitment. The Improvement Plan must not be imposed from without but agreed upon. Here is a four-step process to do that. First, all parties must agree to develop a 90-Day Improvement Plan. If people are forced to do it, it won’t work as it should. Second, ask the poor performers to describe what should be in it. Remember, you can veto any suggestions. However, it is best if its key components come from the other people. Only after they have run out of suggestions do you incorporate yours. Third, develop the Plan together, and agree on its action steps. Fourth, implement it. Have weekly or bi-weekly meetings to insure the Plan is being carried out. If the Plan is forced upon someone, it becomes just another screw, another imposed reward/ punishment. However, if it is put together with mutual consent, indeed with mutual enthusiasm, it becomes the screw driver by which poor performers may very well gladly put the screws into themselves. 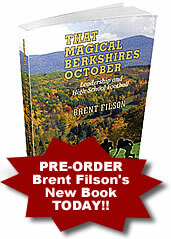 2005© The Filson Leadership Group, Inc. All rights reserved.